Deze pagina dient als referentie m.b.t de bekabeling van de Inspiration rebreather. De bekabeling is gedurende de jaren 1998 - 2002 op gelijke wijze uitgevoerd bij de productie van de rebreather. Je moet echter controleren of de aansluitingen op de zelfde wijze zijn uitgevoerd. Deze pagina heeft betrekking op mijn persoonlijke rebreather, en is geen model voor andere producten. 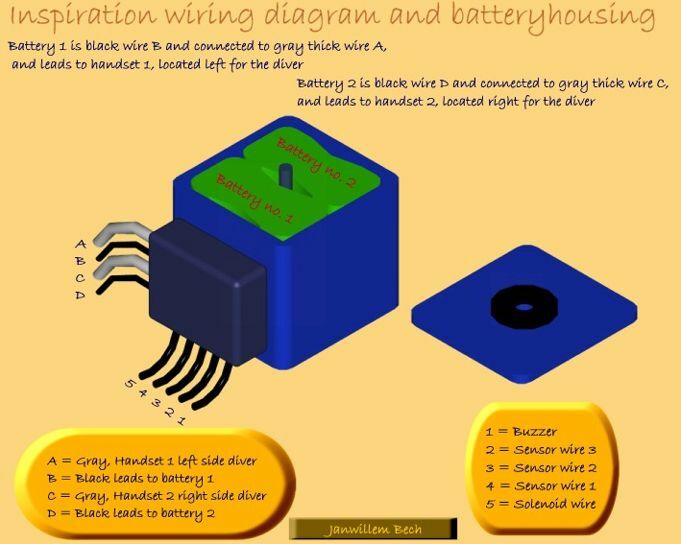 This page is made as a reference for the wiring in the Inspiration rebreather. The wiring is produced in the same way during the years 1998 - 2002. It is however very important to check if this diagram is correct for your rebreather. The layout shown here refers only to my personal rebreather, and should not be used for other models, unless checked ! 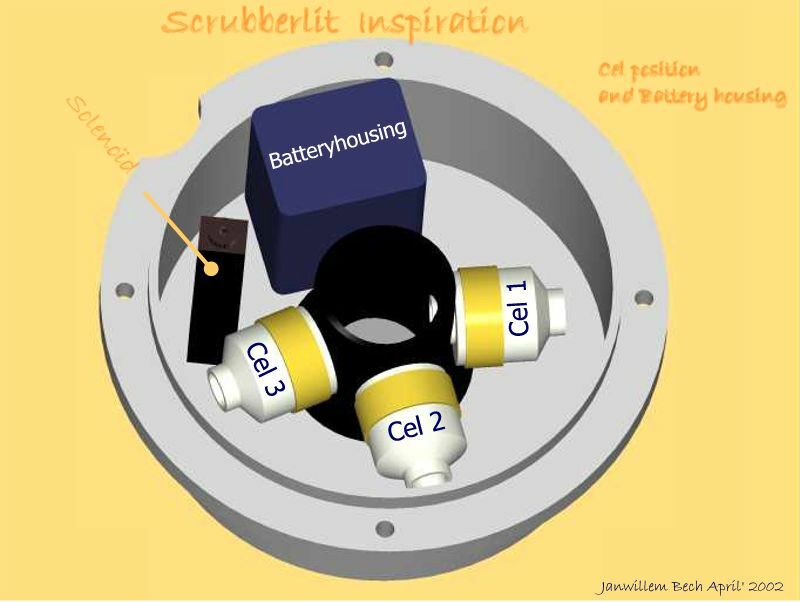 Here you see the location of the cells batterys, and solenoid in the scrubberlit. Here you see the real thing. The batterylit is unscrewed. On the right side you recognise the connectionbox where the battery wiring and the handset (computers) wiring are connected. 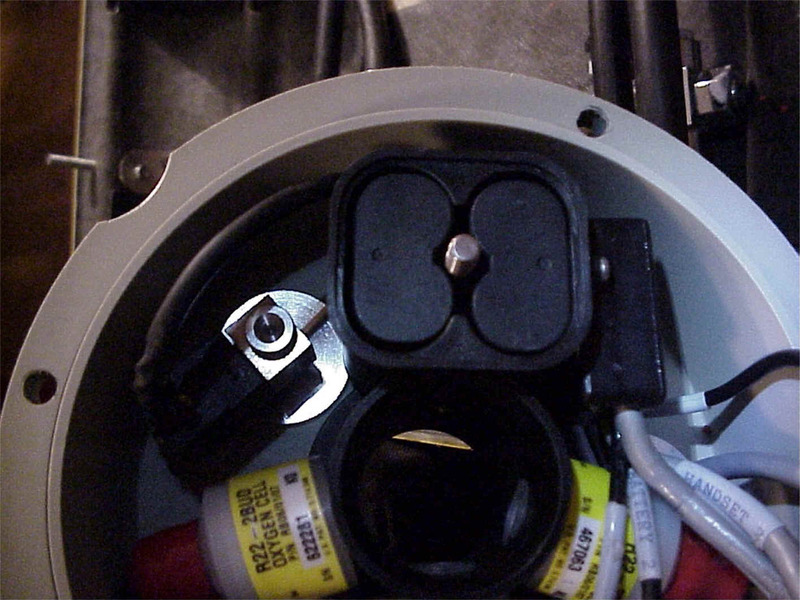 If you unscrew the batteryholder and take of the bottom, you will see that the wiring on the closest battery to the connectionbox is from battery one, leading to handset one, located left on the diver ! Now we know all parts it is easy to understand the wiring. 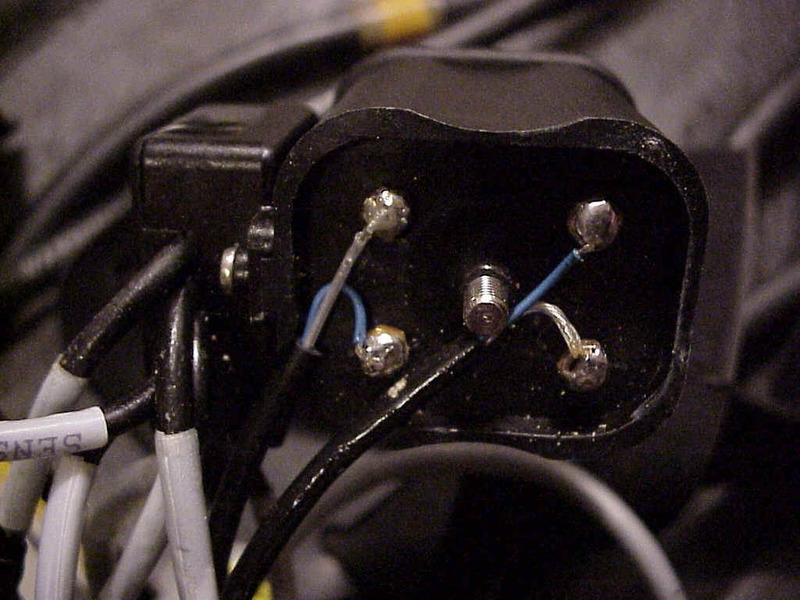 APD also labelled the wires to the according parts. It is however better to see how it is made to understand the layout in detail.